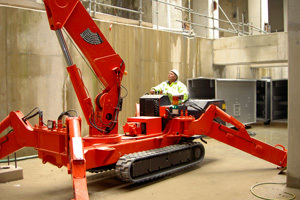 The UNIC 506 mini crane is capable of lifting three tonnes at 3.4m, or up to four tonnes with an optional 5 fall hook block, the UNIC 506 mini crane offers an optimal combination of working flexibility and lifting power. As with all models carrying a safe load indictor, the 506's working area limitation device allows the operator to pre-define the working area. On approaching these limits, an audible alarm is given before operation stops. 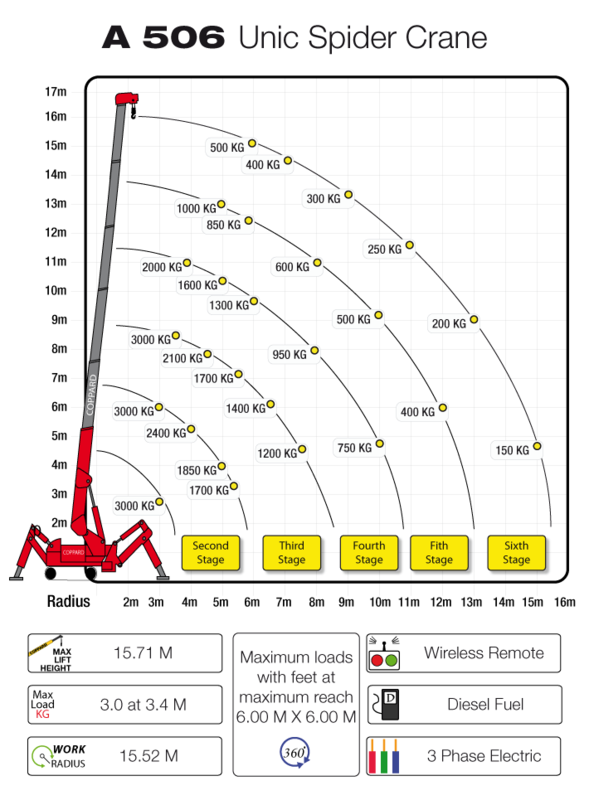 Safety is a design priority with all UNIC mini spider cranes. In addition to automatic boom speed reduction approaching overload, other safety devices include: auto-stop and continuous alarm on overload, anti two-block system, auto hook stow system and full safe load indicator.